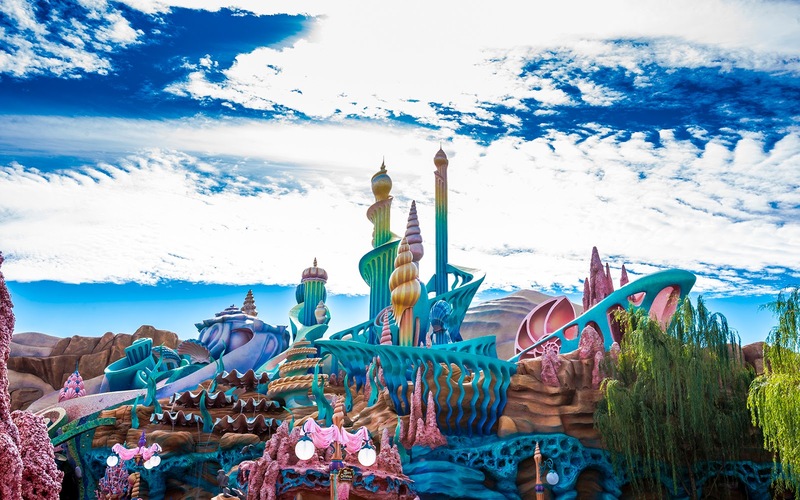 Tokyo Disney Sea's Mermaid Lagoon is--appropriately enough--themed to the kingdom of Atlantica, from The Little Mermaid. 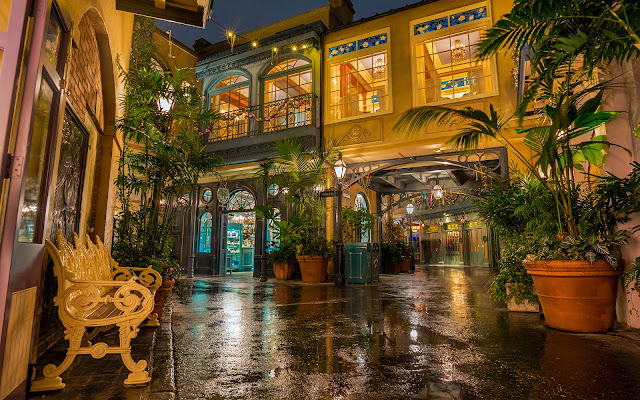 At least that's the facade to guests who enter Triton's Kingdom. 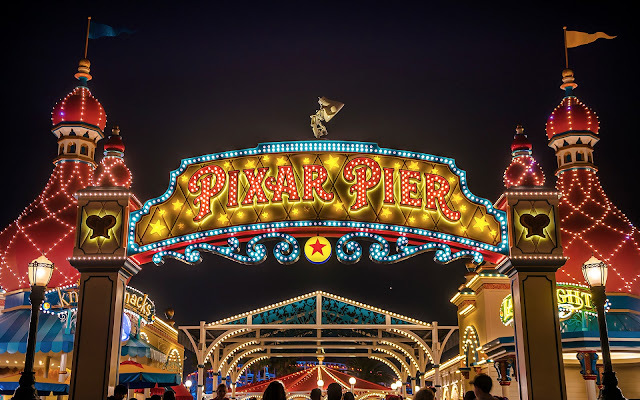 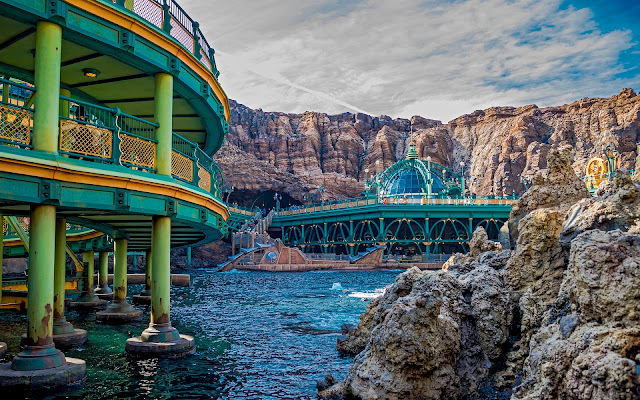 The spiraling and colorful shapes familiarly reflect the underwater domain of Ariel's father, and they provide a whimsical, fantastical ambiance for this part of Tokyo Disney Sea that's more oriented toward younger guests than the others. 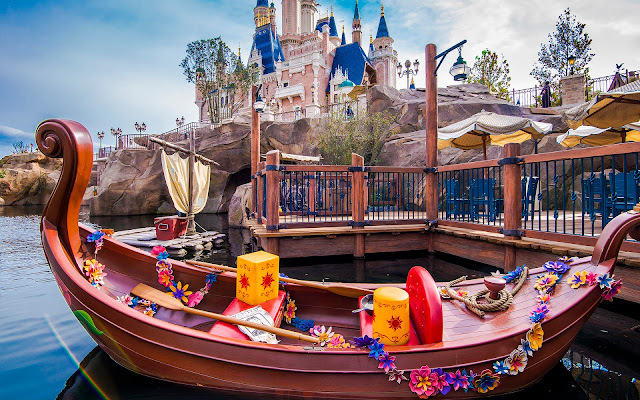 Under the glow of a sunny day, the colors especially come alive, yielding an enchanting view "under the sea," except above the land! 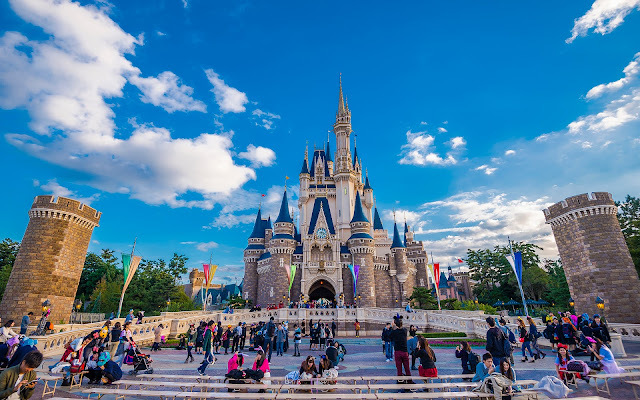 The spires of Mermaid Lagoon in Tokyo Disney Sea stretch toward the skies.